The Famous Cantonese Opera Artist - Yam Kim Fai 任劍輝 has always performed a male role in the play. 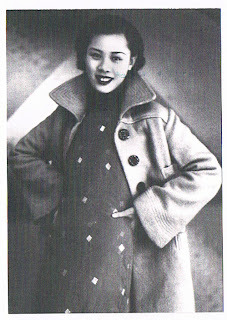 And this is one of the lady look in early 1930s. A free postcard from Hong Kong History Museum last year.